Difference between revisions of "The Day The World Went Away (halo)"
"'''''The Day The World Went Away'''''" (also known as '''''[[Halo numbers|Halo 13]]''''') is the first single released to promote the album ''[[The Fragile (halo)|The Fragile]]''. '''''The Day The World Went Away''''' (also known as '''''[[Halo numbers|Halo 13]]'''''), released on July 20, 1999, is the first single to promote the album ''[[The Fragile (halo)|The Fragile]]''. The version of "[[Starfuckers, Inc. (song)|Starfuckers, Inc.]]" on the single has a snippet of a live version of "Shout It Out Loud" by KISS tacked onto the end, followed by chants of "[[Nine Inch Nails]]!" by an audience. The plant photographed for the cover is a kangaroo paw. Though David Carson designed the majority of ''The Fragile'' era artwork, this single was designed by Robert Hales. [http://nineinchnails.tumblr.com/post/50979684894/nine-inch-nails-halo-thirteen-the-day-the-world] Hales later co-directed the video for "Starfuckers, Inc." with [[Marilyn Manson (musician)|Marilyn Manson]]. The Day The World Went Away (also known as Halo 13), released on July 20, 1999, is the first single to promote the album The Fragile. 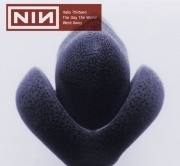 The version of "Starfuckers, Inc." on the single has a snippet of a live version of "Shout It Out Loud" by KISS tacked onto the end, followed by chants of "Nine Inch Nails!" by an audience. 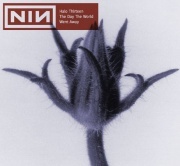 First alternate, unused cover for The Day the World Went Away published on nin.com during The Fragile era. 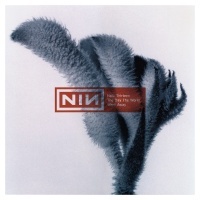 Second alternate, unused cover published on nin.com during The Fragile era. A "The Day The World Went Away"
The plant photographed for the cover is a kangaroo paw. Though David Carson designed the majority of The Fragile era artwork, this single was designed by Robert Hales. Hales later co-directed the video for "Starfuckers, Inc." with Marilyn Manson. Previous release - "Closure" Halo number: 13 Next release - "The Fragile"
This page was last modified on 5 April 2019, at 00:00. This page has been accessed 108,398 times.